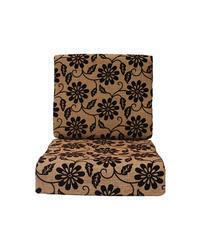 Our clients can avail from us a wide range of high quality Foam Cushions that is manufactured using coir. Use of quality coir as a raw material ensures the core strength of these Cushions. To provide maximum comfort, the Foam Cushions are padded with foam. We offer these in various standard sizes that cater to the requirements of our clients. The PU Foam Cushion provided by us is known for its fluffy texture and superb softness. This cushion is acclaimed for its exceptionally smooth. This cushion does not tear easily. Our valuable clients can avail premium quality Poly Fiber Cushions for Homes from us. Made from the best quality polyester fiber, offered cushions are very soft and comfortable. Available with us in different shapes and designs, these cushions enhance the décor of living and bed rooms. We are highly engaged in offering an exclusive assortment of Foam Cushioning in the nation. These products are made from high quality components. VRM engaged in supplying and exporting of regular / customized Bus Seat Cushions that are not only comfortable to sit on but also soft and durable. These cushions are manufactured from high grade materials that are imported from esteemed companies. 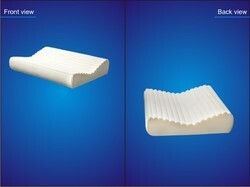 Square Block Of Pu Foam Cushion Upholstered with drill cloth, Size: 18" X 18" X 3"
Size: 18" x 18" x 3"